In a New York Press article from August of 2011, film producer and director Tommy Pallotta, said, “I am a fan of audience participation, but I also think audiences like to be told a story. There’s this thing video game designers call a ‘golden path’—there’s a definite way that the majority of people are going to experience the game, and the designers plot that. A lot of the interactivity in a video game is really just the illusion of interactivity. It’s about engaging the audience and giving at least the feeling of volition. But as the artist you have the sense that you are, in some way, controlling it, blending the craft of storytelling with the illusion of agency.” In other words, in a game you think you are controlling the action, but really it’s already been pre-programmed. Kind of like what we think of as destiny. In fact, maybe that’s exactly what destiny is: the path we are meant to take in order to have the most fulfilling experience. Call it destiny, fate, or providence; the idea of “the golden path” is deeply rooted within our culture, consciousness, and subconsciousness. For most of us, the metaphor was implanted in our minds during The Wizard of Oz. We watch as Dorothy is told by a fairy godmother of sorts to follow the yellow brick road. On that road, she meets a cast of characters who help her on her journey. Sometimes, the road splits, sometimes she strays from it—often meeting with dire consequences, and sometimes, the road seems to go in circles. But in the end, that path leads Dorothy on a journey that allows her to grow so that she can handle the challenges of life, and go home. Of course, Dorothy later finds out she could’ve gone home all along, but on some level we understand that the point of her adventure was the journey, not the destination. 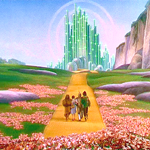 Similar to The Wizard of Oz, it often feels like we are on our own golden path. When we’re on it, we meet the people and encounter the events that help us to achieve our objectives. When we wander from the path or lose our way, we struggle, until we either find it again or are pushed there—often against our conscious will. Whether this golden path concept is a metaphor for how life really works or a literal example of our reality actually being some kind of video game, is not as important as understanding that the path, does in fact, exist. Unfortunately, due to the challenges of life, this isn’t always easy. In fact, it’s almost never easy. But how fun would a game be if it were? Satisfaction from anything is nearly always directly proportional to how much of a challenge it was to complete. In addition to the challenges that are on our path, unlike Dorothy, we have the additional challenge of not being able to see whether we are actually on it or not. The key is to focus on the goal. Put all your mind, heart, and soul into whatever it is you want to do and the path will form under your feet. This doesn’t mean that everything will flow smoothly once you’re on it. We often need to grow in order to get to where we want to go, and just like a muscle or coal that is crushed into a diamond, it takes stress to grow. Focusing on the goal not only helps you to create a path to take you there, it also helps you to ride the daily ups and downs of life without being carried away with them. As Rabbi Simon Jacobson wrote in his article, “The Story Behind The Story”, “You and I do not know the script of our lives. Sometimes what appears as bad news for the moment (or more than a moment) can turn into the greatest blessing. And sometimes it’s the other way around.” While we do not know the script for our lives, I believe that in the version that’s meant to air, it concludes with us achieving our wildest dreams. Just like the programming of a video game, our destiny is written with a path for success. I don’t think it’s anyone’s destiny to fail miserably. That’s not to say that everyone’s life is meant for a happy ending, but that everyone’s life is meant for a fulfilling conclusion. It is the design of our destiny for us to succeed! Much like the audience of a movie or the player of a video game character, God, the universe, fate, or whatever you want to call it WANTS you to win! Believing that is your first step towards making it a reality. We live in some challenging times. And many of us may find it very difficult to believe that the powers that be are rooting for us. Sometimes, life gives us a real beating and we may be tempted to give up—or may have already given up—on reaching our dreams, assuming we even know what our dreams are. In the movie Hugo, the protagonist says that he feels very sad when he sees a broken machine because it can’t do what it was designed to do. I have to admit to getting teary-eyed at that line because I know so many broken machines, and I myself am probably pretty rusted and just barely able to function at probably 1% of what I was designed to do. Many of us broken or damaged machines have stopped believing that there’s an important role for us in this world, but deep down I know that all of us were designed to do something or else we wouldn’t be here. Hugo comes to this realization when he begins to see the entire world as a huge machine and since they don’t make machines with extra parts, he must be meant to serve some purpose. There must be some function he plays that helps the machine to work. Hugo was part of my New Year’s Day movie marathon that I saw this year. The marathon also included Extremely Loud and Incredibly Close, and Sherlock Holmes 2: A Game of Shadows. 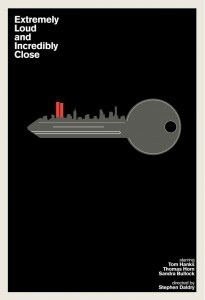 Like many of the movies I see in close proximity to one another, they all fit together in a little puzzle. 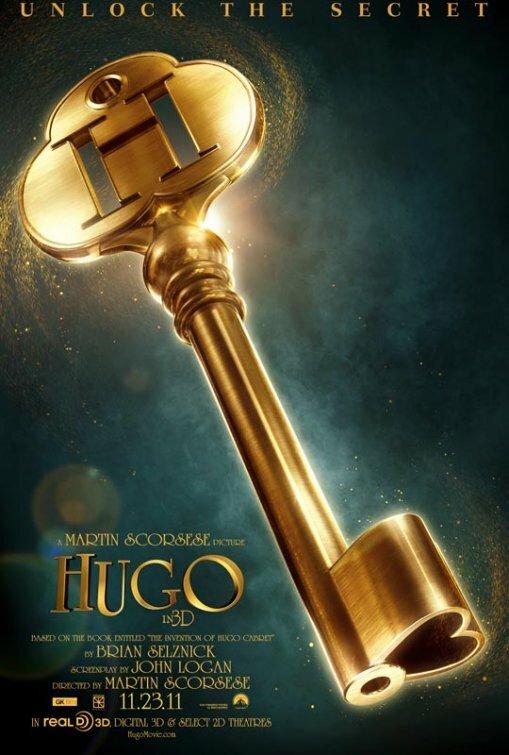 Hugo is about a kid searching for a key to fit a lock that he thinks will reveal a secret message from his dead dad. 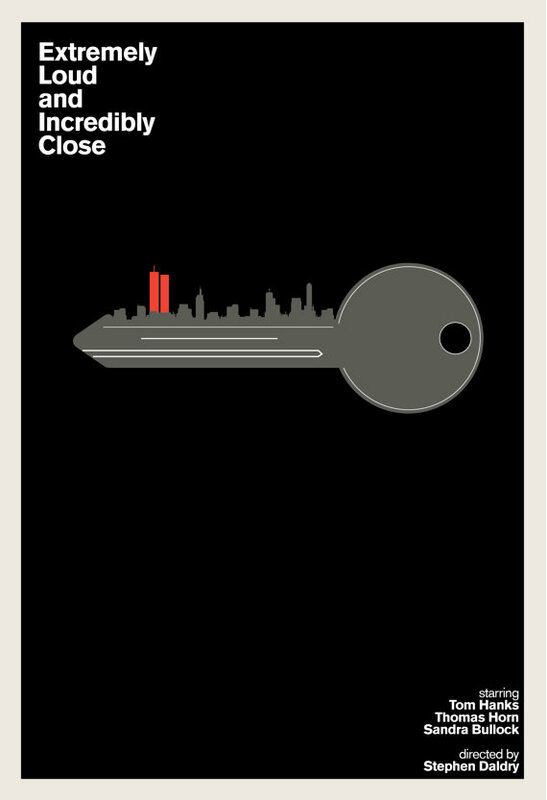 Extremely Loud and Incredibly Close is about a kid that is searching for a lock to fit the key that he thinks will reveal a secret message from his dead dad. And the Sherlock Holmes film, well, that whole movie is about unraveling clues in “a game of shadows.” The lock and key is a metaphor for our destiny, the dead dad is symbolic for the messiah or God who gave it to us, and the clues represent the providence or guidance we receive when we believe it’s out there, waiting for us to find. Lastly, the obstacles and shadows in this game are the challenges we must overcome to win. Almost magically, the hidden hands set it up so that I would see these movies together shortly before finally reading that five-month-old article from the New York Press—a paper I almost never pick up but for some reason was compelled to do so that day. In combination, these elements gave me the idea to write this installment of my blog, so that you would just happen to read it to help you do whatever you are meant to do in your life. And if I were to guess, I’d say that this article is exactly what you needed to hear right now or it wouldn’t have found its way to you. Surely, you have better things to do than read a rambling article from some guy who thinks movies and TV are talking to us. But it turned out that it just may have been the best thing you did all day. Whenever I see similar elements between TV shows and movies, it’s an indication to me that they connect or continue a message from one to the other. When Lost concluded in May of 2010, I began my search for the show that would serve as the next vehicle for the message it had conveyed to the masses—a kind of media Dalai Lama that could continue to tell the story and impart the wisdom where Lost had left off. Unfortunately, instead of finding just one show, there seems to have been dozens, all with a slightly different variation of Lost’s themes. 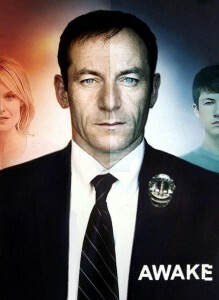 Shows like Flash Forward, V, The Event, Alcatraz, and others all shared themes and often times actors from the series, connecting them. 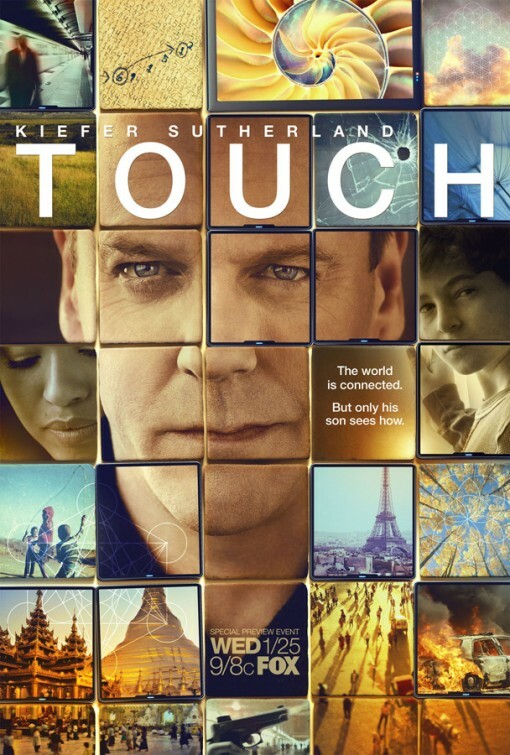 But after watching the pilot episodes of Fox’s Touch (featuring Lost’s Man In Black, Titus Welliver) and NBC’s Awake (with Dylan Minnette who played Jack Shephard’s imaginary son on Lost), I feel that these shows will contain more of the messages we are quickly evolving to hear. Lost left off with the message about how the universe gives us clues, that we are all connected, and that each of us plays a role in helping others on their journeys (each machine part helps the entire machine work). Touch starts off showing how we can be more conscious of these connections and play a more active role in the “road map” (aka, golden path) of the world. The appearance of Titus Welliver, number patterns, and a winning lottery ticket in the show serves a function deeper than just attracting Lost’s audience. It connects the two shows together like a big puzzle. On the big screen, Hugo, Extremely Loud and Incredibly Close, and The Adjustment Bureau also share these themes about the “hidden hands” making everything fit together. In the bigger screen of our world, the recent KONY 2012 phenomenon is helping to bring millions of people together in an attempt to help others who are in trouble. While the campaign has received a number of critiques, I think its biggest value has been in showing the power we have when we all join together with a single focus. The mythological message of Touch—of a young boy using technology (cell phones) to help various strangers all over the world—existed as an energetic path ready to be explored. It was then channeled by modern day shaman (TV writers) and put into a mass media myth for us to subconsciously radiate, creating a continual cycle that feeds itself and creates more incidents to manifest it into our reality. The next myth we’ll soon see manifesting comes from Awake. This show explores the idea of the many-worlds theory or multiverse and, like Touch, also deals with connecting patterns and numbers from unknown sources. All of these shows originated from ideas introduced into the mainstream by The Matrix which in turn evolved from Total Recall, which evolved from Tron, The Wizard of Oz, Alice In Wonderland, and all the way back to at least Plato’s “Allegory of the Cave” from his work the Republic. And of course, even that story came from somewhere too, but that’s a topic for another post. The point is that one of the reasons why we are evolving is because our stories and modern-day myths are prodding us to do so. If you walked up to the average person in 1995 and said that everything happens for a reason, that we are all connected, that our thoughts create our reality, or that the universe gives us clues about our destiny, they would have no idea what you were talking about. If you did the same today, they might not agree with you, but at least they will probably have heard about these themes before. But how often do we think about how The Celestine Prophesy, The Secret, The Matrix, Lost, A Beautiful Mind, and other movies, books, and TV shows introduced these themes into the popular consciousness? Hell, one of the reasons I think my generation (Generation X) is so open to these beliefs is because we were so influenced by a movie that taught us about a Force that was all around us—a Force that we could control if we let go and trusted our instincts. And that movie was very much influenced by Joseph Campbell and his “hidden hands”! It’s really kind of amazing how this all happens. The truth is all out there (X-Files) and as we become ready to hear it, those sensitive enough to hear it first channel it into stories that help us all understand a little more about how our world really works. My hope is that we are on the verge of discovering what I’ve suspected this world is for many, many years: an illusion meant to give us a chance to discover ourselves and grow beyond. While there’s no consensus about this or any purpose of an illusionary world, thanks to recent progress made in quantum physics and mathematical formulations done on black holes, scientists are increasingly realizing that our world does seem to be an illusion or hologram. Discovering that nothing in this world is real may seem depressing at first, but I think its implications could be utopian in scope. After all, if we all knew this was some kind of a dream or illusion or game, we could all just have fun in it instead of continually killing ourselves taking it so seriously. I do believe that this illusion exists for a reason. But if its principles of golden paths and viruses and avatars work so similarly to those found in video games, then perhaps there are cheat codes, secret short cuts, and Easter eggs like those found in the games in our world. Imagine being able to upgrade our world to Earth 2.0 where there is no more war, or download an app to your body so that you could fly or be invisible or any superpower. Perhaps The Matrix was right when it said that humans rejected the first paradise it created because we all have a need to suffer. Perhaps that’s why we’re even here: a perfect life is boring. But perhaps if we can evolve ourselves to the point where we want to grow beyond just satisfying our own needs, then we can stand to live in a perfect world. And perhaps following each of our golden paths will help us to get there. The New York Press article that inspired me to write this post is all about Transmedia, the new brand of storytelling “defined by works that combine the typical moviegoing experience with more interactive elements enabled by new media tools.” The article concludes by stating that “there are different ideas about the degree to which transmedia should genuinely enable audience participation rather than merely provide the illusion of such.” And that “which side wins out has yet to be seen.” Well, I’d argue that our world is living proof that the illusionary side won out. One day, our collective golden path will hopefully lead to a great unveiling where we discover that our world is one we have the ability to collectively control, and once we begin consciously doing so, are able to create a world that works for everyone. And once we get bored with experiencing that, we’ll just create another game to play in. The orowriter.com website and The Layman’s Answers to Everything blog are now up and running! My hope is that they will allow all of us to benefit from each other’s wisdom with posted comments and exchanged ideas. 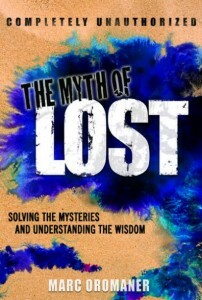 For updates on new columns, videos, interviews, and more, join The Myth of Lost Facebook page or follow me on Twitter! Once again it’s like we have the same mind with just one variation. I hope you don’t mind me adding that final tweak that moves it from a dualistic frame (we are a character inside a video game/ film / dream) to a paradoxically dualistic and non-dualistic… we are the one experiencing… AND writing the dream …. AND neither. So when you say, “…one of the reasons why we are evolving is because our stories and modern-day myths are prodding us to do so.” I would say that is true and the opposite is paradoxically true, our stories (and I’d say our science) may be evolving because we are. Just as you speak of our myths evolving, if we see science also as a myth, taken to the crazy edge, this would mean that the sun did revolve around the earth until consciousness saw fit (in the form of Copernicus and Galileo) that we needed a rude awakening! That’s perhaps why when the religious leaders of the day, peered through Galileo’s telescope they did not see what he saw – because they were in a different universe (i.e. a different dream universe). It was a great indignity to the ego to suddenly not be the center of things, and it only got worse when we realized, or we caused the reality, that we’re on the edge of an insignificant galaxy in a vast universe of galaxies. So Galileo catapulted us from the “Blue meme” (religion) into the “orange meme” (capitalism/science) in spiral dynamics – where there is no divine and the world is seen as totally real and we are completely insignificant and ephemeral …. so the culture chases wealth on earth (in the video game) rather than seeking to transcend the game…. but now we are entering the “green” and “yellow” meme – this flips us to the other extreme — where people like you and I come along and say the universe is all created for us to experience. Those in the “orange meme” think we’re nuts. But what if both extremes are true? We are infinitely insignificant and paradoxically central to all of creation. Maybe we needed Galileo to shock us out of complacency but now people like you and I (and those brothers who made The Matrix”) need to shock us again. This would all illuminate the “yellow” (integral) notion that God is both who we are *and* not who we are. Modern gurus use the reference “you” and “You” to illustrate this or “self” and “Self”… but it’s a shortcut as the “Self” is the whole with no parts (thus Self includes self)…. We are both the key and the lock, the player and the game itself, the dreamer and the dream itself. 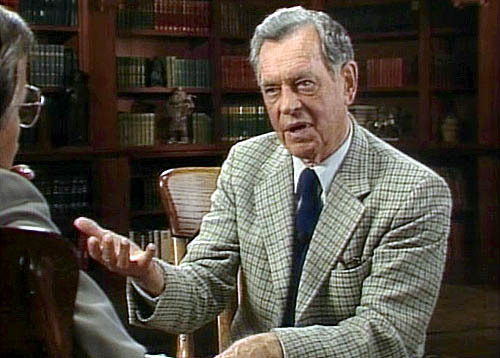 As you write, “And once we get bored with experiencing that, we’ll just create another game to play in.” – But my investigation is perhaps we are entering a stage which is beyond trying to get something, avoid something, solve something, or even entertain ourselves. It is a state of consciousness that cannot be described, nor fixed. And when I say fixed I mean both repaired, and I also mean it cannot be located or cemented. It is in constant flow. But this flow is unlike the evolution of consciousness conversation which has us focus on purpose and meaning – this flow is just free. This flow is our true essence. Wow Jordan, thanks for sharing all that! Let me begin by saying that I completely subscribe to the all-as-one perspective of life and have written about it frequently. I am currently listening to the audio book for David Wilcock’s “Source Field Investigations” and am learning even more details about the tremendous amount of scientific evidence that already exists about it. The reason I write without this dualistic perspective is because this site is for the layman (myself included), and can get easily confusing when getting into such esoteric concepts. However, next summer’s post will touch on this perspective using a simple parable that I hope will make it more understandable. I would also say that there is no need for a paradox in order for our stories and ourselves to be evolving simultaneously. Since time is an illusion, I believe all our stories and ourselves already exist at all levels. As we become more conscious of these evolved stories, we jump into the reality where they already exist, thereby both we and the stories have caused one another to evolve since in this new level, we will now have access to a higher-level story. Interesting thought about the sun revolving around the earth. I do believe that we see what we are ready to see. Perhaps the sun did revolve around the earth then, but I’d also say that it was always the destiny for us to discover it as it is today. Just as we soon may discover that we can discover the smallest of vibrating string particles of the universe, but studying the make-up of galaxy clusters since everything connects. I’d heard once that when Columbus’ ships approached the new world, the Natives couldn’t see them since they didn’t have a mind-frame of reference for such things. From where are you getting these color-coded memes from? Sounds like the time periods assigned in the video for Ian Lungold’s Secrets of the Mayan Calendar. Also reminds me of chakra colors, but wouldn’t they go the other way, faster vibrations would be closer to blue/violet? As for the paradox of being infinitely small yet central, I would say that it doesn’t need to be a paradox either. Think of one of your body’s cells. It is incredibly small yet part of a greater whole. It’s just like in Hugo, every part, no matter how small, has a role and is important. This is a person crusade of mine. I feel there are no paradoxes in the universe at all. Whenever we encounter one it just means there’s something we need to evolve to understand. By believing this, I think it helps us reach this level even faster. Experiment for yourself! Your contribution will be even more powerful than mine since it would require a change for you. I am not saying that this perspective is right, BTW, but if given an option between a paradoxical or simple universe, I choose the latter. I definitely agree that we are co-creators of this reality, or the programmers of the videogame. As for Adyashanti’s comment, I’d say that he is living as a spiritual teacher at all times, and that he steps on a crack as a spiritual teacher, analyzing why he does so. This is different from how the typical stock broker would step on a crack, or a child, or bum, or anyone. He will notice things others do not, his whole life is filtered ad created through a lens of what he believes. That’s why I’d say it’s so important to live your highest level. As a gear in the great machine, you will turn either way, but if you are functioning at 100%, you are a well-greased gear that can make the job easier for others to get the entire machine cranking. I do not believe that is the goal of most people to figure out the mechanisms of this reality. However, I feel that it is mine, just as it is David Wilcock’s. I would agree that there is nowhere to get to. But I also believe there are levels, and I’d like to see us move onto the next in my lifetime since I’d love to experience it as who I am now. I write about what I consider to be the trap of our meme which is losing your mind as you begin to see meaning in everything before realizing that you may be controlling that what you are assigning meaning to. Anyway, I have no doubt that what you wrote was part of the meaning of my life to read and my response part of yours, and your response to that, and my response, and yours, but anything after that, I’m not so sure! I also think that perhaps we had met at some point at Usdan but it didn’t take depending on where we were at our lives at that time, but since we came back on a path we were closer to at that time, the universe had us cross paths again. It’s all pretty cool. Thanks for being apart of my current versions meaning of life. Namaste! Thanks for reminding me that sometimes the journey is point. I’m always so focused on the destination/what’s next that I overlook basking in the NOW. You’re welcome. And you should consider reading the same article I recommended for Jordan: http://despertando.me/2012/01/08/messages-of-light-20120107-what-do-you-mean-the-3rd-dimention-is-going-away/ According to the author, soon, we will all be living and creating in the now whether we like it or not. The end of our practice time is fast approaching. The reason time seems to be going faster and faster (something I’ll get into in the Fall Layman update) is because it’s all moving towards one moment). but it did not work! can you check it again? I like that you use the “layman” approach. I am going to do a similar concept as live theater at a public happy hour (like improv anywhere, but deep topics. Do you have any interest in joining me for a live webcast from the venue in midtown? You could promote your book. I will be there tuesdays and thursdays this month and into April. If anyone other than Marc also wants to stop by and chat about such things… just contact me on facebook! As far as the link, it works but it’s slow the first time it loads. Click on it and leave it be for a few minutes. It’ll come up eventually. If not, when you send me the email let me know it didn’t work and I’ll copy and paste the info for you. It’s a never ending recursive loop. TV stories and movies are tracking the stories that came before which captured the viewers imagination, and rework them, moving them forward on a meandering path that integrates with the questions, and realities that have always been present for humanity. “The Hero’s Journey,” “The Quest,” and other mythological forms. I’ve been pointed in a particular direction about the human mind, and the concept of journey, hidden patterns, paths, doors, etc. At the same time we have built in limitations, (i.e. ability see and hear only within a limited bandwidth, as well as our limited ability to process data through other sensory organs) which create human subjective experience. In the book “Sleight of Mind” by Sandra Blakeslee, this is laid out exquisitely. As she explores how magicians exploit these limitations to create illusions. We have an uncanny ability to believe just about anything, if the narrative is constructed in a way in which our brain, along with our enculturation, and personal mythology can digest it. In fact we can believe it so totally that we allow those beliefs to effectively enable us to create the future. I love stories, and I have become increasing vigilant regarding the stories I find myself using to create my future. This is a great post, I think you should turn it into a 2 or 3 part series. I bet you say that to all the blogs Joshua. I bet you say that to all the blogs…157,999 to be exact. I googled it. Well, at least you’re spreading around encouragement.